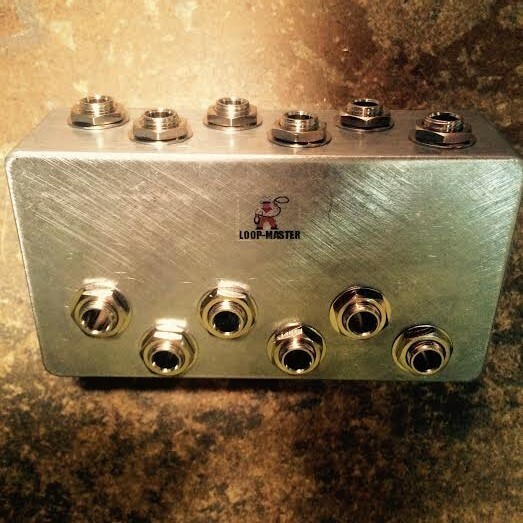 Dimensions: 3.63" X 1.5" X 1.06"
Connect your guitar to "Input" on the loop-Master, connect amp A to "A" on the loop-Master and connect amp B to "B" on the loop-Master. Step on the "A+B" switch at anytime to combine both amps. On models with leds, when you are in "A+B" mode, the previous "A" or "B" channel's led that you were on will remain lit to let you know what you will resume back to when you deselect "A+B". You can also preselect "A" or "B" when in "A+B" mode. Connect your guitar to the "Input" on the loop-Master, connect your amp to "A" on the loop-Master and connect your tuner to "B" on the loop-Master. You can make any tuner true bypass capABle this way. Select "A+B" to tune while you are playing. Connect one guitar to "A" on the loop-Master and one to "B" on the loop-Master and connect your amp to "In" on the loop-Master. 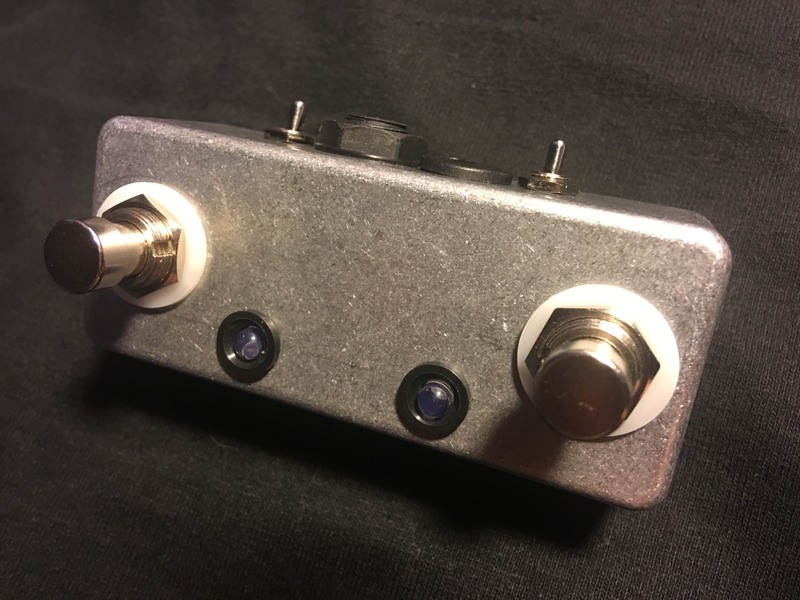 Handmade with the finest components possible for superior tone such as point-to-point military spec silver plated wiring, silver soldering, Switchcraft jacks and a heavy-duty aluminum enclosure. No buffers and no tone-sucking BS.